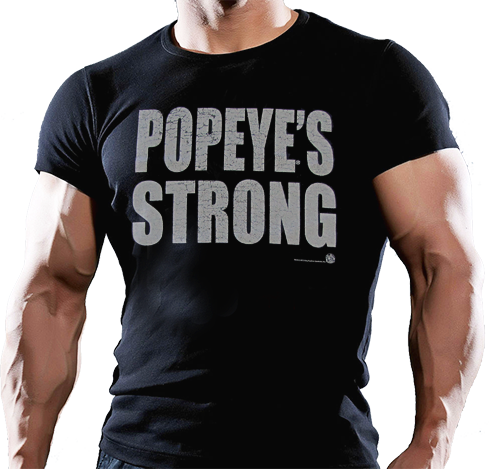 Premium quality, 100% cotton, 150gm weight. 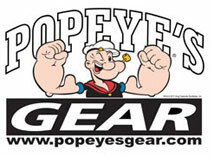 'Distressed Popeye's Strong' image on front. 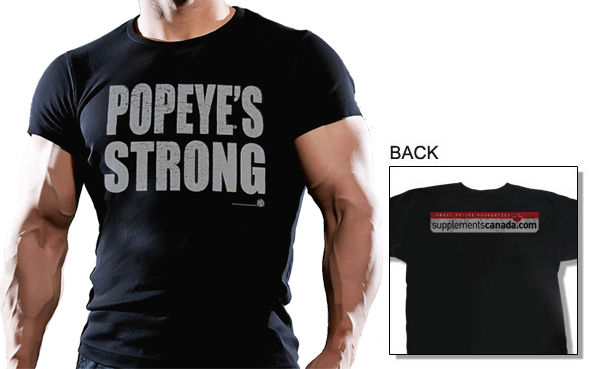 Distressed SupplementsCanada.com logo on the back.